The first flavor I pick up is a light natural meat flavor and light salt. The chewing brings on a bit more of the meat flavor along with some light spicy seasonings. For being marketed as, "Jalapeno Pepper", it doesn't hold up well. The jalapeno pepper is not noticeable. Instead, it's a spicy, peppery seasoning that comes out, but doesn't taste like chile pepper or jalapeno. There is, however, a light spiciness, but it may be too light to pass as jalapeno. 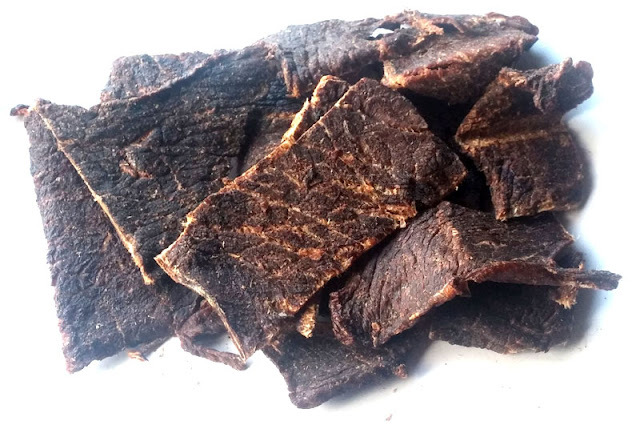 Otherwise, the primary taste profile is a mildly salty, lightly spicy, moderately seasoned, natural meat flavor. It's comparable to a deli roast beef flavor. 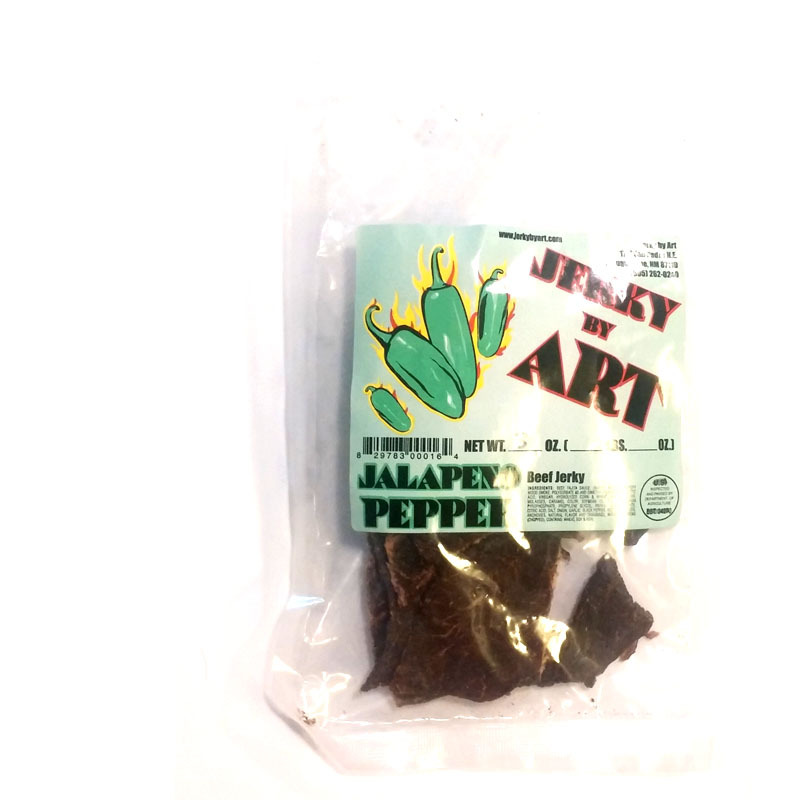 This Jalapeno Pepper variety from Jerky by Art doesn't really offer much of any jalapeno pepper flavor, or even enough heat that one might expect. But on it's own merits, it still has a light spiciness and enough seasonings to create a satisfying flavor, it just doesn't go above and beyond the call of duty. 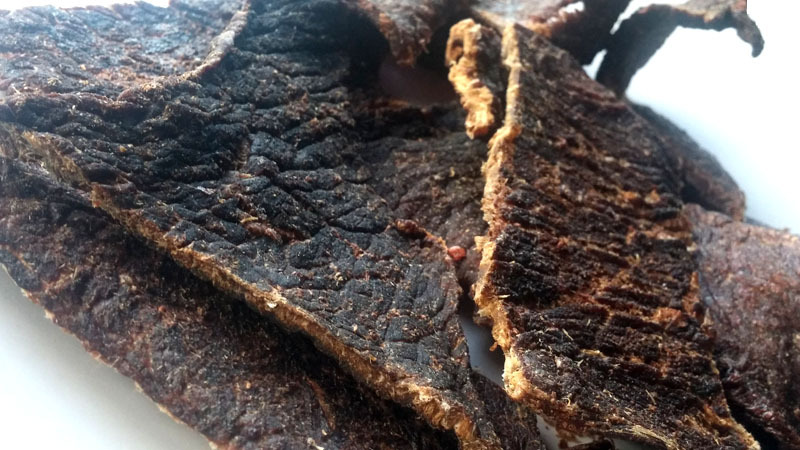 Otherwise, it's classic New Mexico-style jerky, dry, lightly crunchy, and very meaty and steak-like.